Traditional style Chinese light being displayed at Trafalgar square to celebrate Chinese New year. 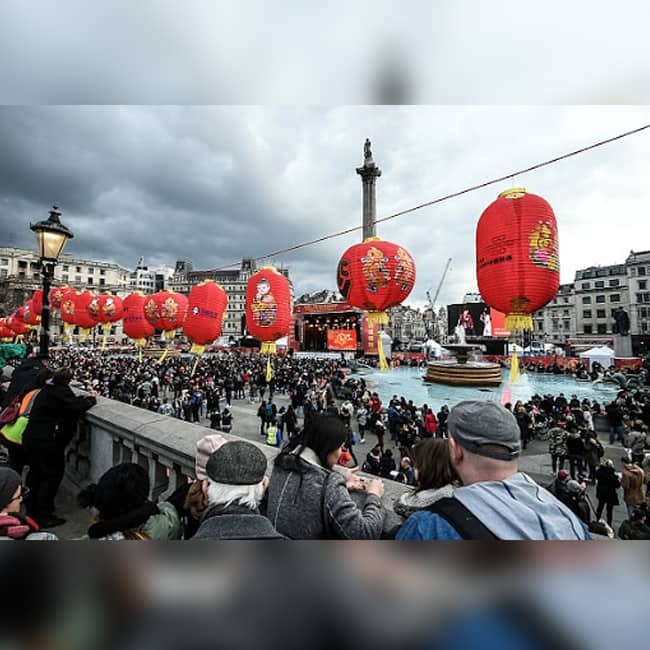 Londoners gather in London's Chinatown and Trafalgar square to celebrate Chinese New Year 2018. 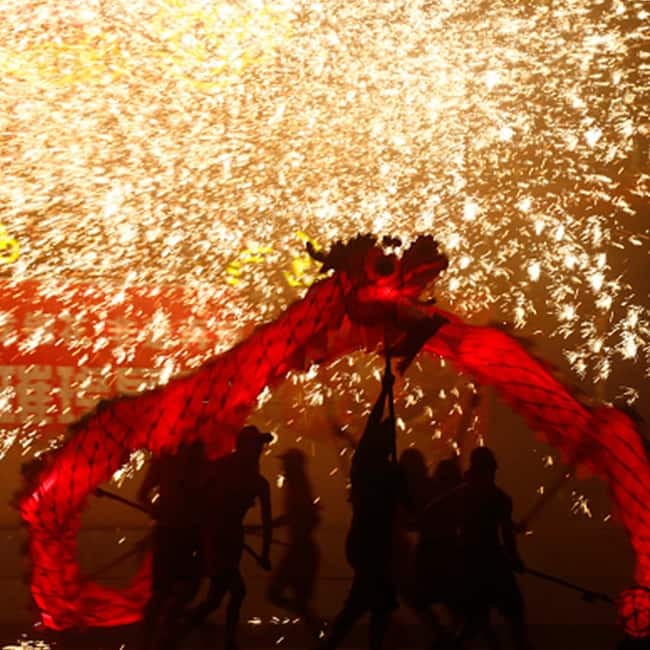 Artists perform dragon dance under the molten iron fireworks at Beijing Happy Valley during the Chinese New Year. The mysterious Fingal's Cave in Scotland! 2017 La Tomatina festival in Spain!